Specific clinics, organizations and services are listed below. 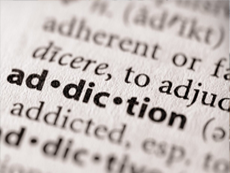 These organizations help with everything from insurance to addiction to well-being. Hospitals: A complete list of hospitals in the county is located here. If you are looking for financial assistance to obtain glasses or hearing aids, contact these two national programs: New Eyes and Starkey Hearing Foundation. Westchester Library System provides online access to X-Plain Patient Health Tutorials, which offer plain language explanations of diseases, conditions, and procedures in English or Spanish that you can read online or print. For more in-depth, authoritative information, contact your local library. If you are a Veteran, see the Veterans Services page under First Steps. Your physical health and well-being is important to you. When was the last time you had a wellness physical? I’m not talking about when you believe you’re knocking on death’s door; I’m talking about when you’re feeling just fine and you’re scheduling yourself for a medical checkup as an annual thing because YOU understand that it’s preventive medical care to do so. Let’s act to be well now and in the future.